Taft School, where alternative-ed programs have been located. Two Burlington alternative school programs that must vacate the old Taft School on South Williams Street appear to have found homes. OnTop will be moving to a renovated space at Burlington High School, and Horizons will move to leased space at St. Mark Catholic Parish on North Avenue, if negotiations between the district and church can be completed. The school board last week approved spending $400,000 for the relocations. That figure does not include anticipated lease payments to St. Mark's. District officials have spent more than a year searching for new digs for the two programs, as the University of Vermont prepares to take control of Taft under a $1.6 million, long-term lease that begins July 1. 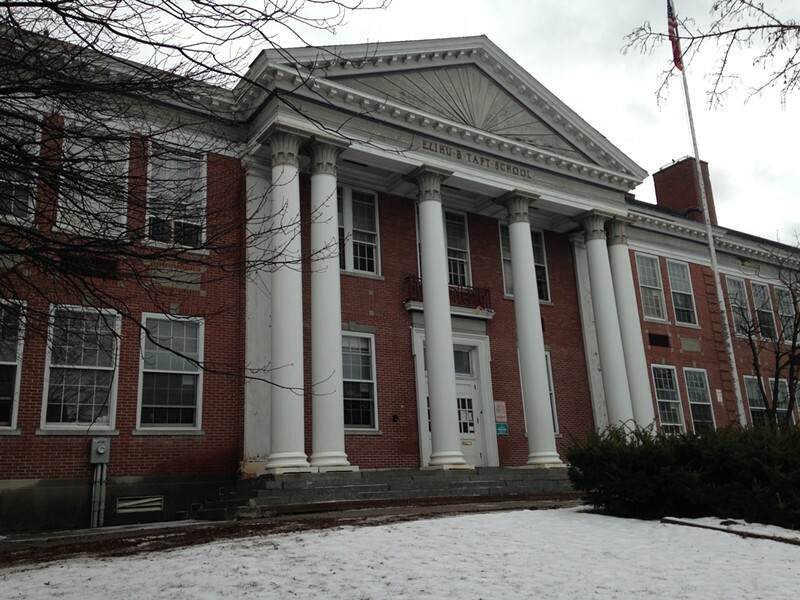 The former neighborhood school building will be renovated and used by the UVM art department. OnTop serves about 30 special education students in grades five to 12; Horizons typically enrolls 30 to 40 high school students at risk of dropping out. Burlington school officials had sought to relocate OnTop to a leased space at the Chace Mill next to the Winooski River, but ran into opposition from critics who were concerned about the safety and suitability of the site. Instead, OnTop will move into the high school's "A" building, in space that is currently used for Burlington Technical Center programs. Those programs will then move to the high school's "F" building. The school board approved spending the $400,000 from the Taft lease proceeds. At least $100,000 of the approved amount will be used to renovate the space at St. Mark's, although the church complex is not envisioned as a permanent home for Horizons. The district is negotiating a three- to five-year lease, according to David Kirk, Ward 7, chair of the school board infrastructure and technology committee. The city school district has leased temporary classroom space at St. Mark's several times in the past during major school renovations.